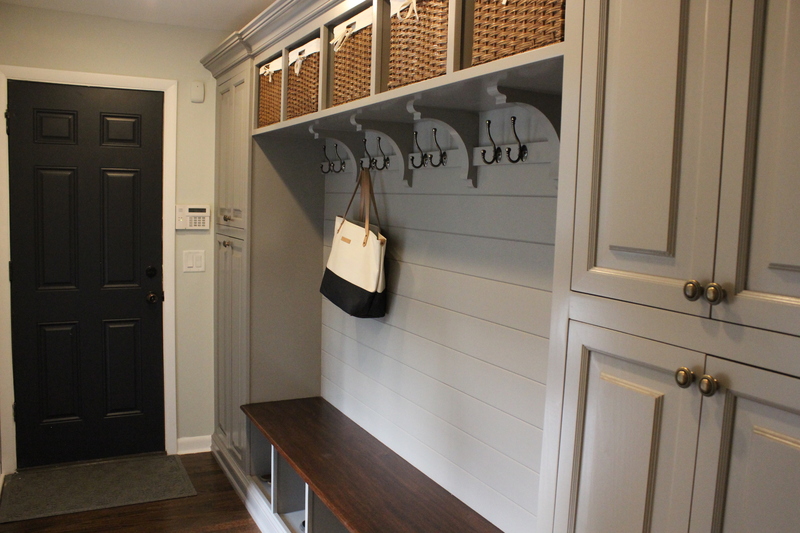 Finish the mudroom. Done! 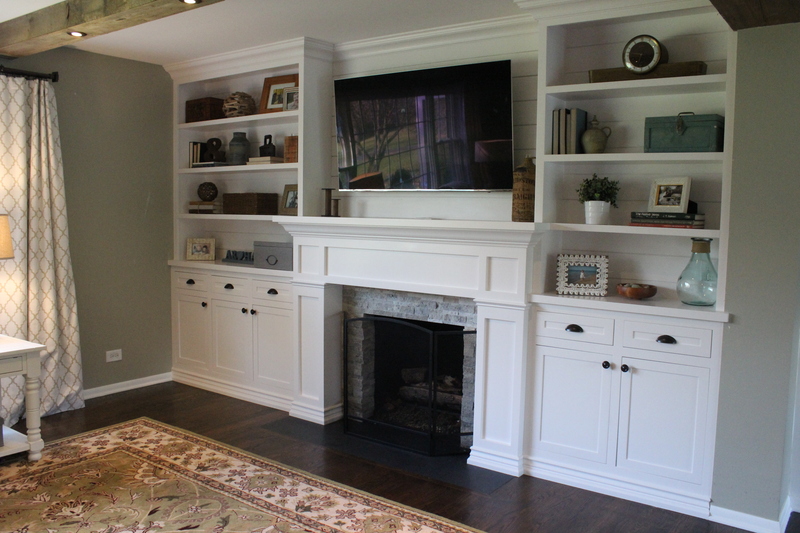 We shared the finished mudroom in September- it is still one of my favorite spaces in the house. Function + Beauty! 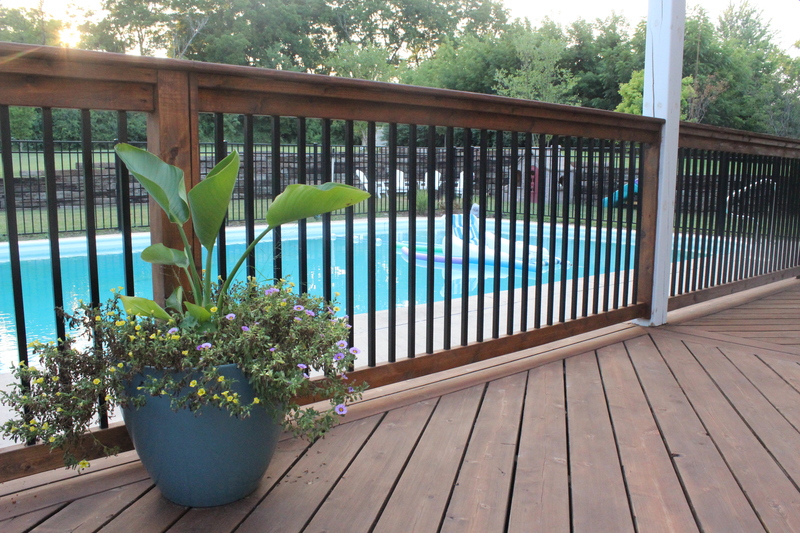 Finish the pool fence and re-stain the deck. Done! It turned out so awesome. See more of the backyard area here. Update the living room built-ins. Also done! We finished these in November, they really transform our whole first floor. More pics here. Create a “big girl” room for Kate. I have one more little project to do in here and a few tweaks and should have a reveal later this month! It’s so stinkin’ cute. Finish the shed. Done, for the most part. We need to do a little more landscaping around it. Pics to come in the Spring. Build a fire pit. This did not happen. 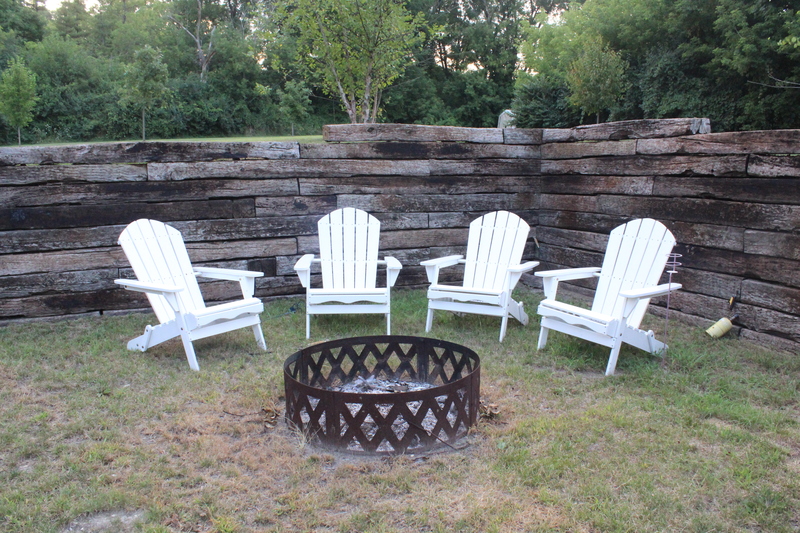 We just have some Adirondack chairs around a fire ring right now, but would love to build a stone fire pit/patio. Paint master bedroom closet. We have beautiful built ins in our master closet but they have been bare wood for 2+ years. Since no one sees our closet it keeps getting pushed off. In 2017 it will happen. Install pavers around the pool. Didn’t happen but it is a top priority for 2017. Build a built-in fire pit. Build a kitchen table from native New Zealand timber. Organize/clean up garage and pour a new floor. We also have the “flip” to complete by March/April so that is our big focus right now. Hi there, I am enjoying your blog and I have used your bathroom as inspiration to redo one of our bathrooms. I have a question for you. How has your vanity that you bought through home decorators held up? The reason I ask is that I just ordered the same one, and when it arrived, the marble top was chipped and cracked. Also, the color of the wood is lighter and more yellow than yours. Have you been happy with it? Has the marble top held up? Thank you in advance! Yes I have been very happy with it and it has held up well. If it was chipped and cracked I hope you returned it!